Want it by Wednesday 24th April? Order within 3 days, 11 hours, 32 minutes and choose Special Delivery 24 Hour Delivery (Signature Required) at checkout. 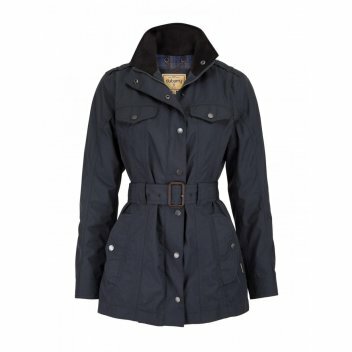 A multi-pocket belted jacket with hour-glass silhouette and GORE-TEX® liner: The Dubarry Swift Jacket is a perfect fusion of style and functionality. From Dubarry’s new style-focused GORE-TEX® outerwear line.